Portable Tubular Frame with Top and Bottom Tote Adapter Kits, Santoprene Diaphragms, and EPDM Elastomers. 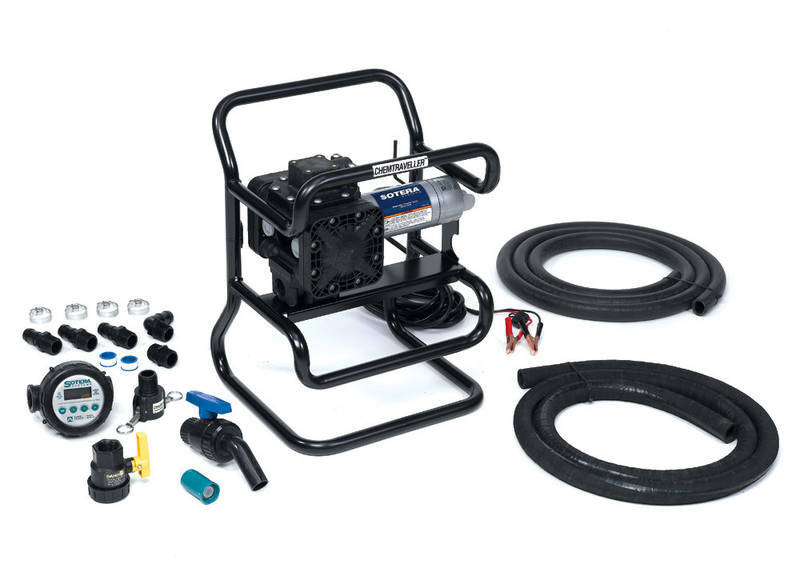 Includes 825 Digital Meter, 1x12' Hose, 1x9' EPDM Hose, and Shutoff Ball Valve. The power distribution is a unique reciprocating, spring driven, double diaphragm configuration retains constant pressure, regardless of the load. Motor amperage is actually reduced as back pressure increases. 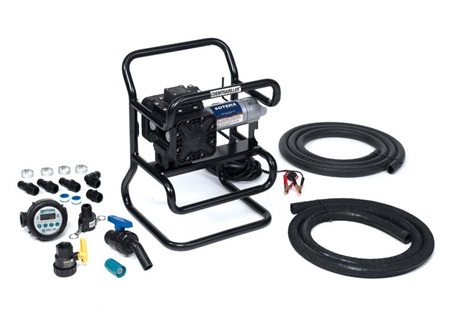 No internal bypass required - the pump automatically goes neutral when the end of hose valve is shut off. Glass-reinforced polypropylene pump housing provides integrity and excellent material compatibility inside and out.